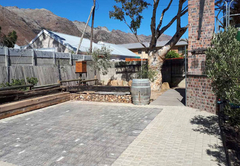 The Yard is one of the Gordons Bay guest houses and provides accommodation in 3 guest rooms for tourists visiting the Cape Helderberg region. 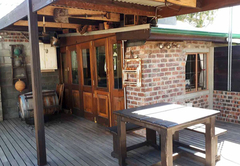 The Yard is a farm style establishment on a spacious property in a peaceful and friendly part of Gordon’s Bay. Guests can enjoy a beautiful view of the mountain. 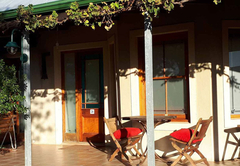 The establishment is in close proximity of the beach and numerous shops and restaurants, The Yard is the perfect getaway for holiday makers, business travellers and overnight guests. 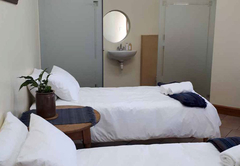 The whole facility sleeps up to 12 people in total if booked as a whole, but this has to be done in advance to ensure that rooms are not already booked. 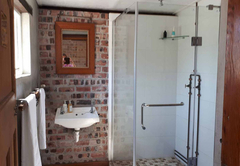 The accommodation comprises of three units. 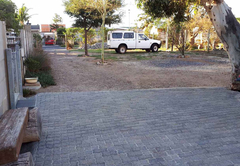 Each unit has tea / coffee making facilities and secure parking available. This is a free-standing room. 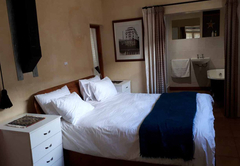 The room comfortably sleeps two guests in a double bed and contains an en-suite bathroom. 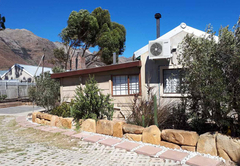 This is a self-catering cottage that sleeps four guests. 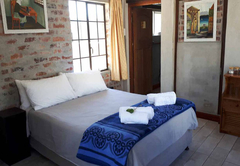 The Cottage contains a super King-size bed and is ideal for couples or small families. 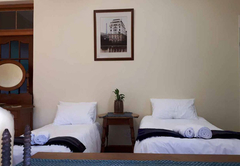 This room comfortably sleeps two guests in two single beds. 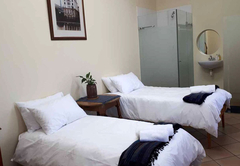 The room contains an-suite bathroom and is ideal for friends that travel together. BITS s a free-standing outside building. 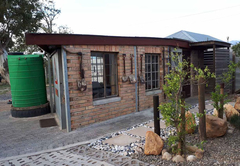 The owner's workshop - was creatively changed into an en-suite bedroom, playing with old and new to add to the farm style decor that is clearly visible everywhere on the property. 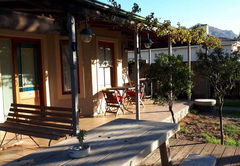 The Cottage is at the back of a spacious property with a beautiful view on the mountain. 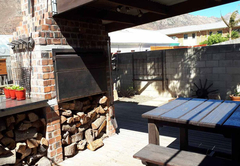 The cottage is a self-catering unit with a comfy Super King Size bed with a lovely outside barbecue area. Ideal for couples, or small families. This room walks out on the Veranda and has a view on the front garden. 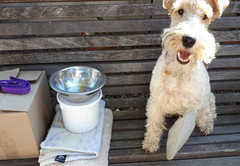 There is a kettle and a tray with coffee, tea, snacks. 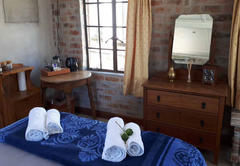 The room has an en-suite bathroom and the 2 single beds and is ideal for friends that travels together. Response timeThe Yard typically responds to requests in 5-10 minutes.